You can’t call this Portofino entry-level. 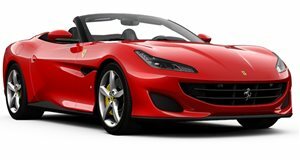 Despite being the entry-level model in Ferrari’s range, the Portofino packs a 3.9-liter twin-turbo V8 that develops 592 hp and 561 lb-ft of torque, enabling the rear-wheel-drive GT car to sprint from 0-62 mph in 3.5 seconds. That’s more than enough power for most people, but Novitec clearly disagrees. The tuner is offering three different performance kits for the Portofino, the most powerful of which increases the exotic’s twin-turbo V8 engine up to a substantial 674 horsepower and 642 lb-ft of torque. That’s more power than you get in the outgoing 488 GTB, which has 661 hp and 561 lb-ft of torque. This power increase allows the tuned Portofino to do the 0-62 mph sprint in just 3.2 seconds before topping out at 202 mph. To achieve this substantial power boost, the tuner developed special mapping for its two plug-and-play N-Tronic modules, which are adapted to the electronic engine controls of the Portofino to provide injection and ignition with performance-optimized mapping and also increase the boost pressure. In this base configuration, the engine output is raised to 658 hp and 627 lb-ft of torque. If you want more performance, Novitec installs a high-performance exhaust system available in various versions with or without sound management by means of integrated actively controlled exhaust flaps. The exhaust system not only increases the power output but also saves up to 24 pounds. The performance can be further increased with 100-cell metal sports catalysts. Novitec hasn’t only made modifications under the hood, either. The tuner has also added several aero-enhancing components made of naked carbon that were optimized in a wind tunnel, giving the Portofino a racier look. New components include a front spoiler with air deflector inserts for each of the two side air intakes in the front bumper, inserts for the two air intakes in the hood, gill-shaped surrounds for the side air vents in the front fenders and naked-carbon caps for the two side mirrors. Novitec rocker panels, a carbon fiber rear bumper attachment, and a rear spoiler lip further enhance the exterior. Novitec’s Ferrari Portofino rides on forged rims developed by Vossen and are available in two different designs. Both come mounted in a staggered combination of 21- and 22-inch diameter rims on the front and rear axle to "put even more emphasis on the wedge shape of the Ferrari” and come wrapped in Pirelli high-performance tires. To improve the handling, Novitec has also installed sport springs to lower the ride height by around 1.37 inches. A hydraulic front-lift system also allows the driver to raise the front end of the supercar by 1.57 inches – the front end then lowers itself back down automatically after the car reaches a speed of 49 mph. Insider, the interior can be customized with a choice of leather and Alcantara materials available in a variety of different colors and patterns.